Meanwhile, toast the slices of french bread and then top each slice of bread with slice of Provolone. Place in a broiler until cheese has browned and bubbled. Remove crostini from under broiler and set aside. Add the beef and veal stocks plus salt and pepper. Bring to a boil, then simmer uncovered for 20 minutes. Remove the bay leaf, taste for salt and pepper, and serve hot with grated Parmesan and crostini. 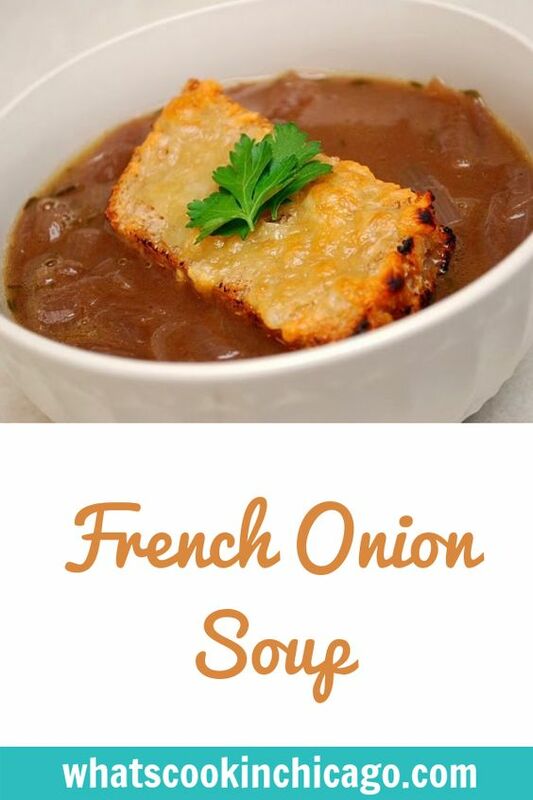 I've always wanted to try making french onion soup! Looks yummy! 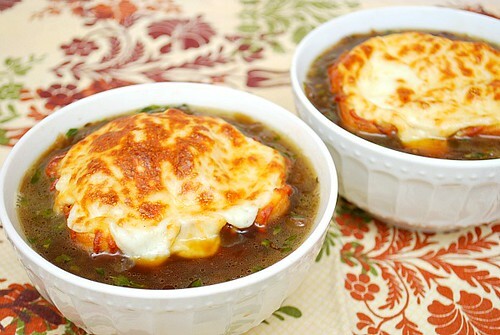 Looks good, I love french Onion soup. I'm feeling so soup-like lately. I was going to make soup tomorrow, but I can't find the ingredients.